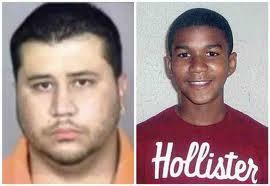 Sanford, Fla. police said Zimmerman has claimed self defense, so they've handed the case over to the state attorney. But, as NPR's Joel Rose reported this morning, Florida law may mean prosecuting Zimmerman could prove difficult. "As long as you are somewhere you have a lawful right to be, if someone attacks you, the words of the statute are you can meet force with force, including deadly force, if you reasonably believe that that is necessary," Jeffrey Bellin, who teaches law at Southern Methodist University, told Joel. That law is known as the "Stand Your Ground," or "Shoot First" law and it's been controversial since it was passed in 2005. Basically, The Christian Science Monitor reports, the law gets rid of the English Law concept of "duty to retreat" from a situation that is dangerous outside your home. Bellin told the Monitor that the law makes judging self defense harder for prosecutors because it could potentially negate "the extent to which a person claiming self-defense may have aggravated the situation." "It's hard to imagine that this couldn't have been resolved by [Zimmerman] leaving, so that no one would've gotten hurt, so this is a case where the Stand Your Ground law can actually make a legal difference," Bellin told the paper. "Even if you have suspicions about what motivated this, and you think there was a racial element and no justification for this shooting, the fact is he had no obligation to retreat under the law. If prosecutors don't have the evidence to disprove the claim of self-defense, they won't be able to win." The Orlando Sentinel reports that claims of self defense ballooned after the law passed. "Some Orlando-area police agencies simply stopped investigating shootings involving self-defense claims and referred them directly to state prosecutors to decide," the paper reports. Back in 2010, The Tampa Bay Times took at comprehensive look at the law. It found that reports of "justifiable homicides tripled after the law went into effect." "Last year, twice a week, on average, someone's killing was considered warranted. "The self-defense law — known as 'stand your ground' — has been invoked in at least 93 cases with 65 deaths, a St. Petersburg Times review found. "In the majority of the cases, the person's use of force was excused by prosecutors and the courts." In fact, according to The Sun Sentinel, the Florida Supreme Court decided a judge should evaluate a defendant's claim of self defense before he goes to trial. In other words, a judge not a jury usually decides if a killing was in self defense. Critics of the law call it the "right-to-commit-murder law," saying it has turned Florida into the Wild West. Supporters say it helps deter crime. In its story, The Tampa Bay Times breaks down the law with another case. Trevor Dooley went to a park with gun. He had a permit. David James, a decorated U.S. Air Force serviceman went to the park with his 8-year-old daughter. The two men argued over a kid on a skateboard when Dooley tried to enforce the rules. James, said Dooley, lunged at him so he shot him. James died in front of his 8-year-old daughter. "What was James, 41, thinking when he lunged toward Dooley? What was Dooley thinking James was thinking? "Did Dooley 'reasonably believe' that the younger, bigger, stronger man would take his gun and harm him? "And whether he is punished for gunning down a father in front of his daughter in a park on a sunny Sunday afternoon will more than likely come down to what he says he was thinking in those few seconds before a man died." A judge will decide that case in late March. It's worth noting that 16 states have followed Florida's lead since 2005 enacting "stand your ground" laws. The shooting death of an unarmed black teen last month in Orlando is drawing protests and calls for action. Lynn Hatter reports the shooter, a 28-year old white neighborhood watch volunteer, is the target of a state attorney investigation. The shooter claims self-defense. The case has sparked a national outcry and stirred racial tensions.